Dental endo motor with Apex Locator 1. Endo Motor is the supplementary root-canal treatment device which can assist the dentists to shape more standard root-canal in the process of root-canal treatment based on the micro-electronic control technology. 2. 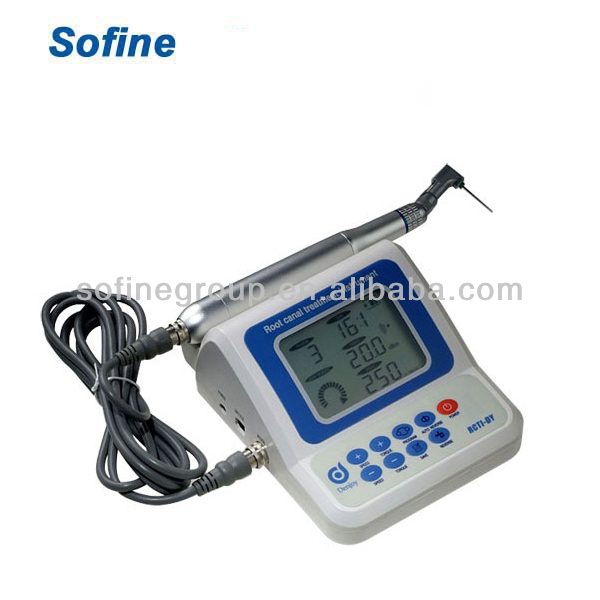 This instrument contributes to alleviate the dentist’s working intensity. 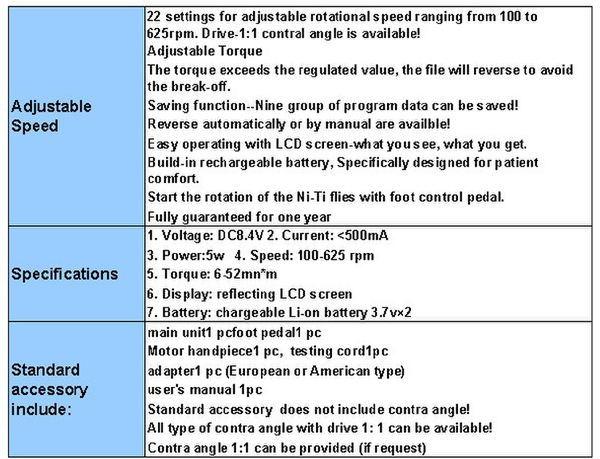 Contact us if you need more details on Dental Endo Motor with Apex Locator. We are ready to answer your questions on packaging, logistics, certification or any other aspects about Dental Endo Motor with Apex Locator、Dental Endo Motor with Apex Locator. If these products fail to match your need, please contact us and we would like to provide relevant information.